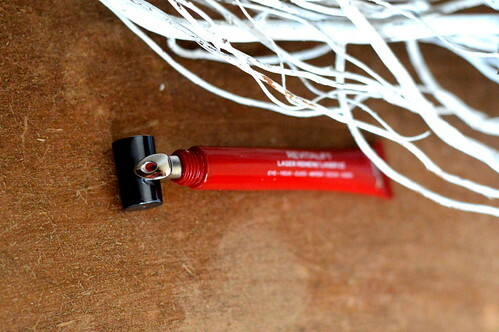 Lately I have been using a lot of L’Oréal skincare products and today I will add one more to the list… I recently reviewed the Revitalift laser peeling lotion and the serum and cream from the Revitalift Filler collection. 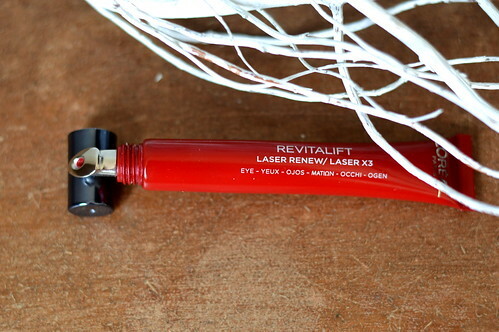 So that’s night and daycare taken care off… Today I will fill you in on the product that I have been using on my eyes, the Revitalift laser renew. After applying the cream underneath my eyes, I have to wait a bit to let the product set in. The cream isn’t instantly absorbed by my skin which is a bit of a pity. But after I’ve brushed my teeth, my skin underneath my eyes feels firmer and softer and it’s a perfect base for the rest of my make-up routine. 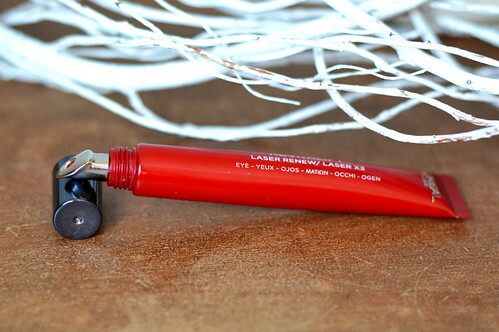 This Revitalift laser renew for the eyes is a good cream for its price. Even though it takes a bit of time to set in, I would definitely recommend this product! Have you used this eyecream already? What did you think of if? Or can you recommend another one? Let me know in the comments!